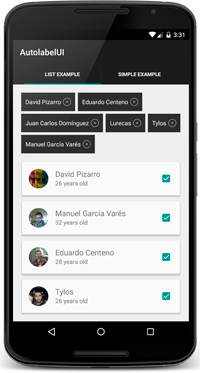 Implementation of Material Design Chips component for Android. 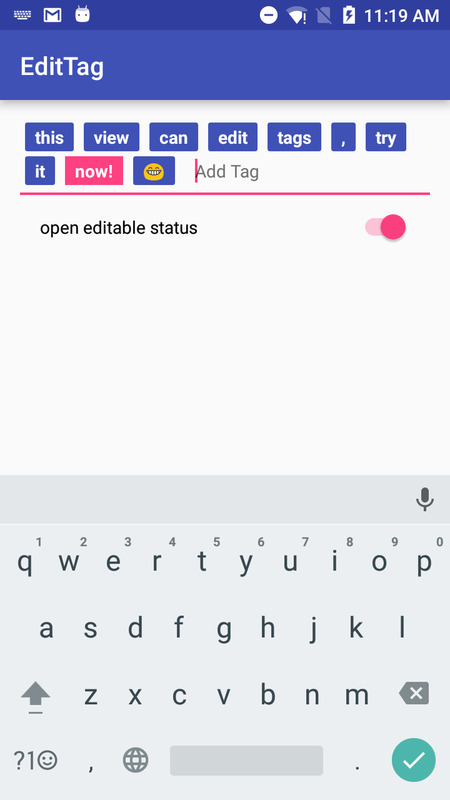 The AndroidTagGroup is a layout for a set of tags.You can use it to group people, books or anything you want. 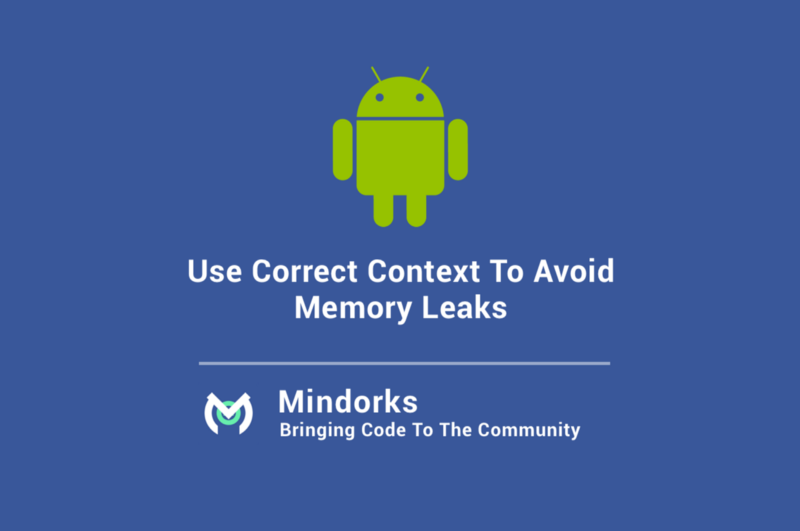 An Android TagView library. You can customize awesome TagView by using this library. 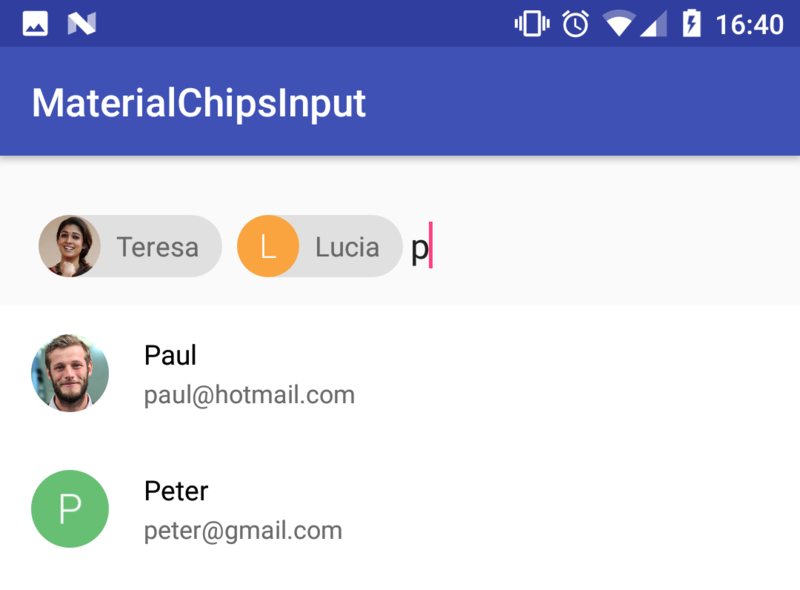 Material Chip view can be used as tags for categories, contacts or creating text clouds. 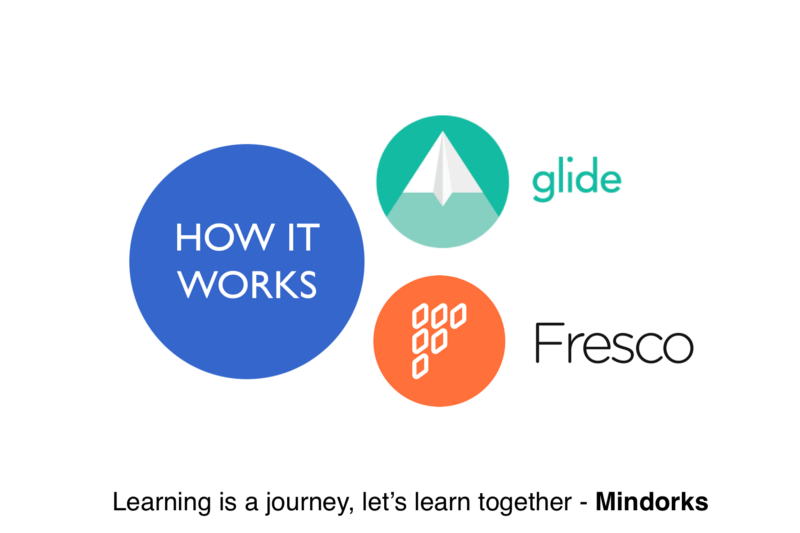 A tag cloud component for Android. A library of imitation picture tags，you can create and edit tags, add ripple effect. 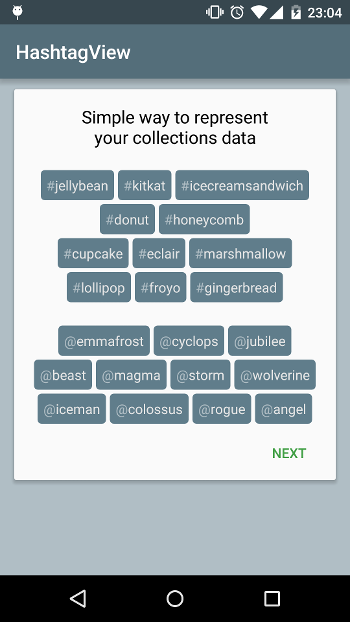 An Android Cloud Tag Widget. You can edit the tag's style, and set listener of selecting or deleting tag. Android library to place labels next to another. If there is not enough space for the next label, it will be added in a new line. 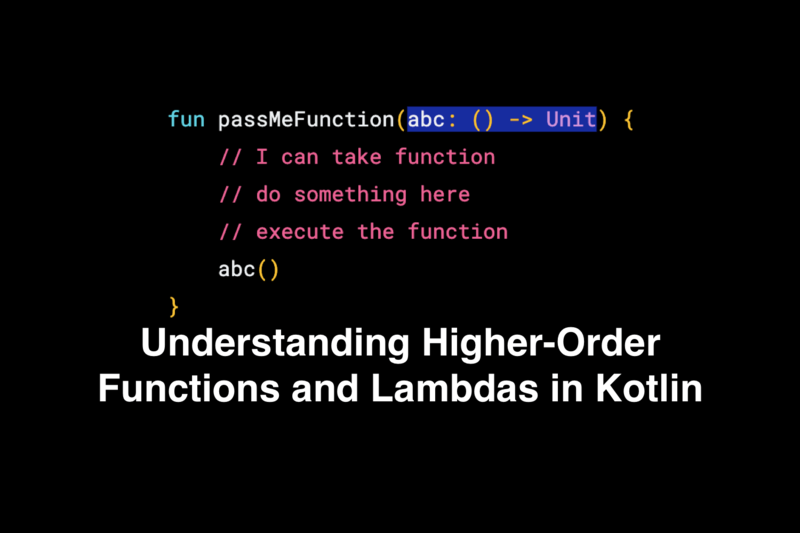 This is a library designed for highlighting hashtags ("#example") and catching click on them. 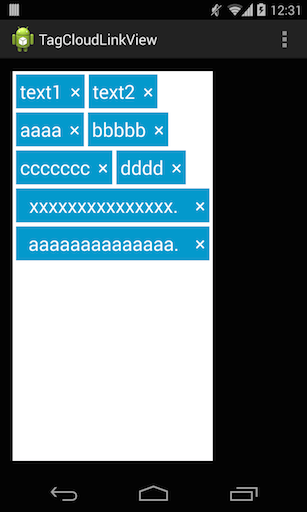 Android EditText view with tags. Simple android view to display collection of colorful tags efficiently. You can edit the tag's style, and set listener of selecting or deleting tag. Android UI library that creates 'chip' clouds. 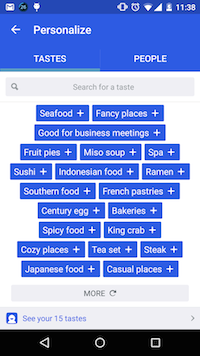 Collection Picker is an Android View library which looks like Foursquare Tastes picker. Fully customizable widget for representing data like hashtags collection and similar. A library to edit tags like editing text in EditText. 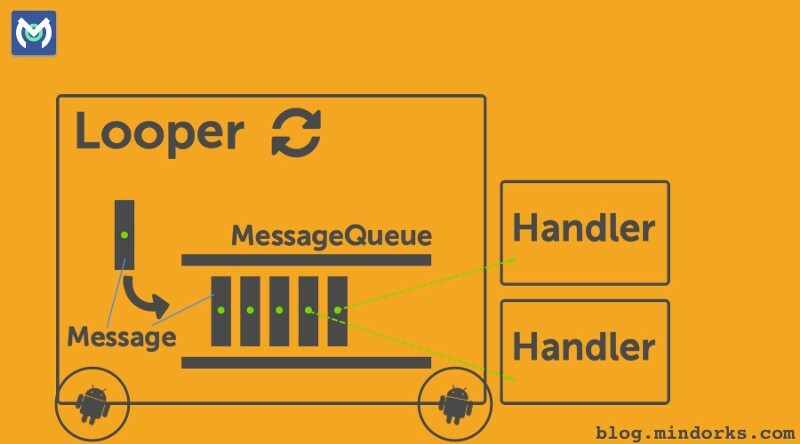 android-tagview is a simple android view to display collection of colorful tags efficiently. EdittextWithTag allows to manage tags using spaces. TagCloudLinkView is a simple layout with Tag View. It provides possibility add and remove Tag view. ChipView enables you to easily create Chip list with optional click listener on each Chip. 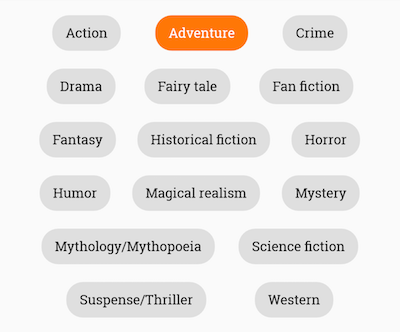 Android library for creating different tags for your content. Library uses TextView as a parent class. Example usages can be found in app module (folder). A simple library for Chips/Tags with a searchable ListView. Clickable @mentions, #hashtags and links.